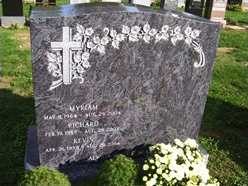 The Lewis Monument Company custom designs and erects flush markers, footstones, headstones, single monuments, family monuments, mausoleums, and civic memorials in New York, New Jersey, Long Island, Westchester, Connecticut and all surrounding areas. Mausoleums can be designed and built anywhere in the United States. A Flush Marker or Footstone is a small monument set at the foot of a grave. The Lewis Monument Company will assist you in choosing or designing a Flush Marker or Footstone as unique as the individual. The Lewis Monument Company understands that designing a monument can be an overwhelming, but necessary, part of the healing process. The Lewis Monument Company will help you create a personal design that best reflects the life of your loved one, that will last for years to come. A Civic Memorial is a lasting memory for generations to come. 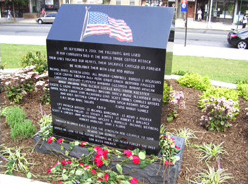 Placed to commemorate a historical moment in time or a respected individual, the public or civic memorial may be designed to commemorate a battle, war or conflict, or to bring attention to a person or event of historical significance. The Lewis Monument Company will work with you to ensure your civic memorial achieves its desired effect. Mausoleums provide calm, serene surroundings for families and friends to meditate and remember, sheltered from unpleasant weather conditions. Beauty, prestige and reverence are displayed in a personal mausoleum with The Lewis Monument Company.